Every Monday and Thursday I go out and preview homes for sale in Berkeley and Oakland. I often see homes that I like that are nice and clean along with homes that have been hastily prepared, ready for a lengthy stay on the market. I have to admit I am picky about houses. I can tell when homes have been hurriedly painted without care. I appreciate when the painter has removed the light fixture and door knobs as to avoid leaving paint on the vintage hardware. Basically I can tell when love and care is invested into a home. 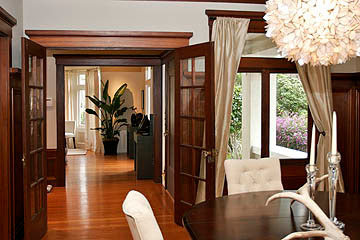 Last Thursday I went to 6221 Cabot in Oakland, a home listed by GrubbCo. and I was euphoric from the feeling the house evoked. The house had beautifully restored wood work and built-ins, luxe, yet clean finishes such as carrera marble, commercial grade appliances, wood windows with new solid hardware and more. Nestled on a beautiful tree lined street as if in a story book this home is situated blocks from Rockridge shops and restaurants. In no way am I trying to sell this home, I am merely writing because I have house envy. As I was walking from room to room, I wanted to sit down and stay awhile. I kept saying to my colleague and friend Nicole that I could live here and I wouldn't change a thing. I appreciate the love, attention to detail and style that the homeowners brought to this home. 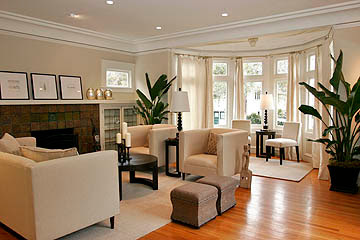 When I write about Oakland style or tasteful remodels, this home exemplifies all that I believe in. Now I don't want you to think that I only believe in luxe re-do's, but my hat is off to homeowners who enhanced their home thoughtfully without stripping its core.